I know that there are people who are against strategies like making bets with friends, but I actually endorse them. I think it’s a great extra stimulus for your WILLPOWER if, for example, you have publicly announced to everyone that you will become a millionaire by the age of X or that you will reach your target weight of X by X date. What’s wrong with that?! I think it’s a great way to boost motivation and keep yourself progressing in the right direction. Ok, without further ado, let’s get straight into this month’s numbers! First off, I will cover the UK side of things and reveal my NET profit number for January 2019! 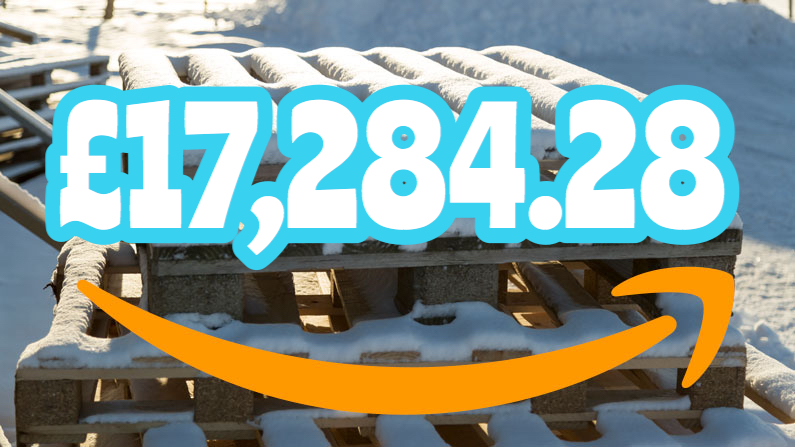 £17,284.28—that’s how much I made in sales on Amazon UK in January 2019. It is typically the slowest month in most product categories as people are cashed out after the November and December shopping madness. Many people are taking it easy on spending as they reevaluate their goals for the year and prioritise more important things, like that fancy pair of trainers, Gymshark outfit and full-blown gym membership. So, it didn’t come as a surprise to me that the sales were much lower this month compared to November and December. In fact, if you look at the sales chart, you can see that the first half of the month was extremely slow. However, this was not because of January itself; it was because of my continued out-of-stock situation that had started in December. If I had the stock in place, the sales would have actually exceeded the £20,000 mark—but it is what it is. Luckily, everything’s back to normal now. I have very solid stock reserves in place and one of my TOP priorities for 2019 will be stock management! I don’t want to run out of stock anymore. I want to execute a perfect stock situation for this year’s Christmas period. Yes, I know it’s eleven months away, but I’m already working on Christmas stock right now so I can fully avoid last year’s situation when I ran out of stock within the first few days of December. I will talk more about effective and efficient stock management in the upcoming months as it is quickly becoming a crucial element in the success of any Amazon businesses. This is especially relevant due to long-term storage fees and the potential introduction of the Inventory Performance Index in the UK later this year. Going back to the numbers, this particular Amazon account is responsible for just one of my brands that sells just one specific product in multiple variations. 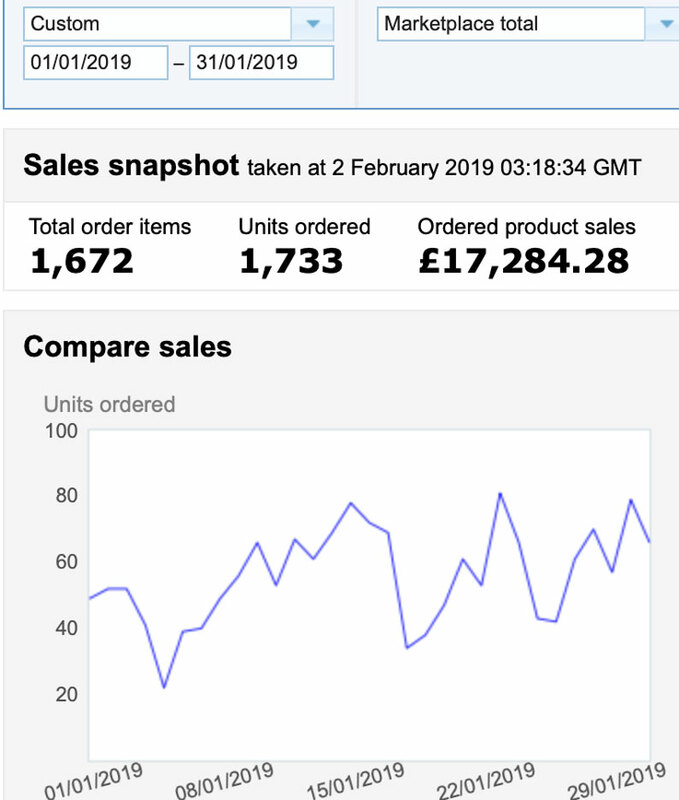 My NET profit per unit sold is £4 after all the costs are subtracted, including product cost, shipping to Amazon, seller fees, FBA fees and VAT. Now, the bad news is that this number will change very soon because Amazon is increasing their FBA fees from April 1st, 2019. There’s not much I can do about it, but my margins will go down. Well, the way I look at it is that this is just ANOTHER great reason to work harder and faster on other sales channels (Shopify & wholesale) to increase sales, diversify risks and increase my overall margins. Almost £7k profit in January, the slowest month of the year! I would be super happy with that if it wasn’t for ad costs, of course. In January 2019, I spent £1,725.34 on ads. This includes Sponsored Product and Sponsored Brand ads. The amount is so low because I was out of stock for the main variations for almost half of the month, so half of my ad campaigns were paused for half the time. Here’s a quick tip: ALWAYS make sure that you PAUSE your ad campaigns when you run out of stock. Ideally, you should even do this ahead of time if you know that you won’t be able to quickly restock. Do not delete or archive your campaigns, just pause them. Resume when the items are back in stock. This sounds like super simple stuff—and it is—but trust me, when you have 20, 30, 50 or 100 products AND hundreds of ad campaigns, it’s super easy to overlook a product going out of stock, which means you continue running ads and waste money on nothing! The recently introduced PORTFOLIO feature greatly helps with this as we can now categorise campaigns based on the product—at least that’s what I do—and quickly find and pause ALL campaigns related to a specific product. Not bad at all. I still made a good profit, even with the whole out-of-stock situation and it being January. Profit is good. What worries me more, though, is that sales were low compared to January of last year. Ok, we can’t really compare them accurately as I was out of stock this year. It is very clear from the sales chart—as you can see—that I lost many potential sales in the first half of the month. Starting from around January 20th, my sales were actually the same as last year. My ad campaigns are more optimised. So, with these elements in place, I would expect my sales to be HIGHER this year compared to January of 2018—if I hadn’t run out of stock, that is. So, why didn’t my sales improve much this year? There’s a very simple explanation behind this. It’s called Increased Competition. Yes, last year I was basically the only seller doing the thing I’m doing, but during 2018, multiple copycats have come onto the marketplace copying exactly what I do, selling at a lower price, and taking some of the sales I would typically get. There are now sellers in my niche who have BLATANTLY copied my product concept, packaging, design layouts, the way I write descriptions, my free PDF bonus idea—EVERYTHING! They haven’t done it as professionally as I have, of course, but still—they have basically copied my ideas 1:1 with poorer branding, poorer images, but offering a LOWER price! What do you do in situations like these? How do you compete with such copycats? Should you lower your product prices? Run away? For starters, don’t even think about lowering your prices and margins. That won’t end well for you. Price wars are the last thing you should do. If you lower the price, they will lower the price, then you need to lower the price, and on it goes, around and around, until the price is so low that there’s no point in selling that product at all anymore. I have seen it happen a million times on eBay. No THANKS, I don’t want that anymore. I haven’t adjusted my prices and don’t plan on doing it. I will stick with my brand values and pricing model. Yes, this means that I will lose some percentage of the market to these new competitors, but remember that it’s not that simple. The long-term game is much more complex. For example, I have higher prices and better margins because I know the product costs and I know that my competitors can’t get the product cheaper. Most likely, they buy it at an even higher price as they don’t have the sales volume I have. This means that I can spend MORE money on advertising than they can. I can buy more clicks on Amazon (and outside of it) to get new customers to my products. They can’t do this. At best, they can do it on a much smaller scale as their margins are simply not good enough. Let’s take it a step forward and move outside the Amazon platform to, say, the stage where my business generates £500k+ in sales per year. I know that at such a large scale, there will be increased fixed costs associated with warehousing, extra staff, marketing activities, IP protection, etc. I know all that and have worked it into my margins. What will my competitors do? If they currently sell an item for £7.99 on Amazon and are happy with a £3 profit while NOT even being VAT registered, what they will do when they register for VAT or hit all those extra overheads? They will go out of business! Or increase their prices. Here’s another example with an expansion to an offline/B&M store: if you have super low margins online, don’t even think about expanding into B&M! Any decent store will want a 2.2 to 2.4 margin in the UK, and if you’re already cheap on Amazon, you will never be able to make a profit on wholesale orders. Believe it or not, I planned this all out at the product research stage. 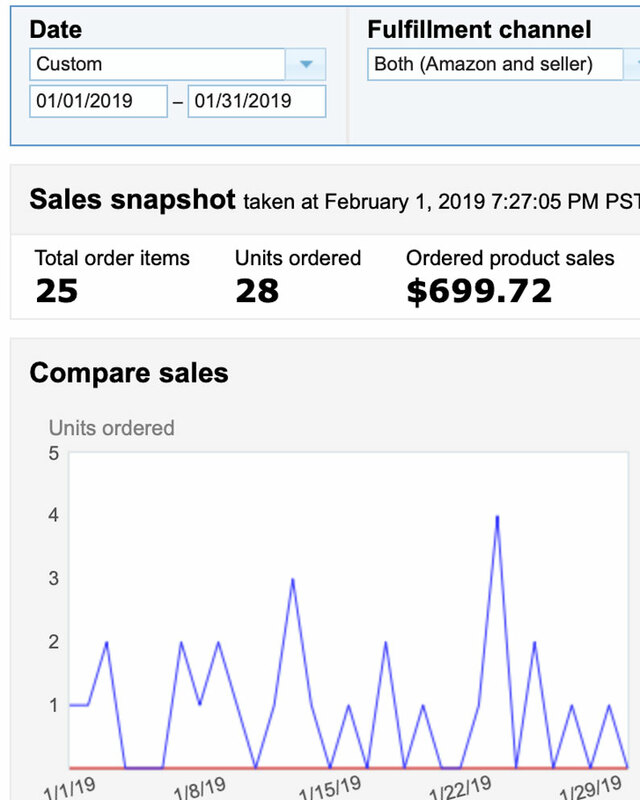 I had all the costs down, all the margin numbers, how they will work on Amazon, Shopify, wholesale orders and even deals with distributors involved. Down to every last penny. I am prepared, and I am ready to grow this business into a multi-million-pound company. I know for sure that those small-time competitors won’t be able to compete on that level purely based on the low-price model they have chosen to work within in an attempt at quick profits. So, I’m not adjusting my prices, and I’m not getting into price wars. If it means losing part of the market on Amazon, so be it. I will make back it via other channels very soon. 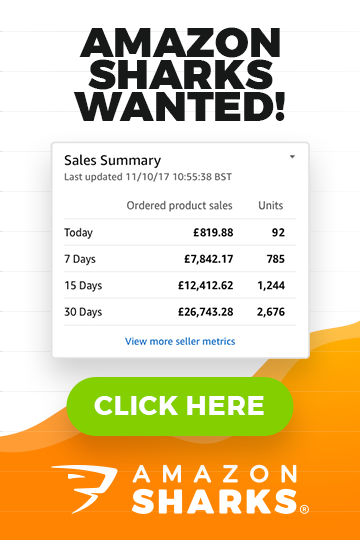 If you have done your homework, created an amazing brand, offer a unique product that people LOVE, provide great customer service, etc., there’s no reason why you should lose a lot of sales due to someone selling a similar product for a few pounds cheaper. If you’re the BEST, people will see it and still buy from you. What I will do, though, is make sure to spend extra time on the listing optimisation process, make sure my images are even better looking than the competition’s images, create product videos, change or improve my product packaging (already done, check! ), add another free bonus with every item (already done, check! ), release new products (in progress), really start connecting with customers on social media (in progress) and so on! In short, I won’t spend my time on the competition. I will spend my time on MY CUSTOMERS and MY PRODUCTS! I will be constantly improving my products and I will do everything I can to maintain my Number 1 position and reputation in that niche. The only exception to this rule would be in cases where you see/feel that new competitors are doing a much better job. Maybe they have nicer branding, a better product—maybe everything! If you feel that you simply can’t compete with them, then just call it a day. Defeat yourself, lower the price, liquidate the stock, LEARN from the process and move on! This is something I have personally gone through many times over the years, and it’s something we’ll cover in more detail in this post too. If you know objectively that your competitor’s offer is much better and it’s at a lower price, why would anyone buy from you, right? Admit it and just move on. But only if you can’t turn it around, of course, as you can often work on improving your product or presentation to get back in the game! Each and every situation is unique, but you have to accept that the world is getting very competitive and it will only get worse. Only the best, the fittest, will survive! Don’t blame Amazon for it—it’s just how things are going. The barrier to entry is so low to start an Amazon business that the number of people getting into this game will only continue to increase. My advice: be ready for it. Ok, for now, let’s continue with the numbers and take a look at my Amazon US sales! Twenty-five units sold, which resulted in sales of $699.72. And that is my NET profit as I didn’t spend any money on ads. Well, I do have to subtract my fixed costs, of course, like the sellers account monthly fee and FBA storage fees, which basically wipes out any potential profit. 1)All these numbers are just for illustrative purposes. I’m not doing my books here or teaching you accounting. Most people can’t keep up with the level of data I already share, so to keep it simple, I don’t include them. 3) These numbers are all obviously before I take out any salaries or dividends or pay corporate tax, etc. These are just the NET profit numbers from Amazon’s perspective, and I use this figure to keep these posts as simple as possible while still providing you with the most important data. So please don’t think that I’m trying to hide anything here, I’m just trying to keep these posts civil and simple to understand. 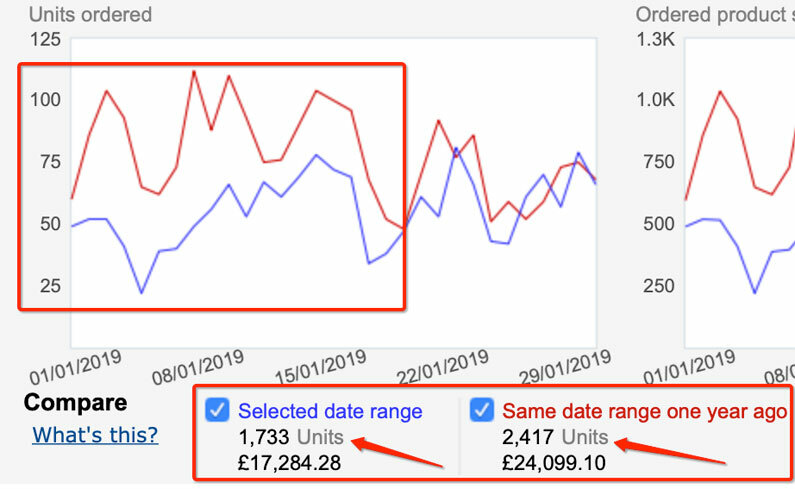 You can totally take off a few hundred pounds each month from my Amazon UK profit to cover FBA storage fees and returns. Going back to Amazon.com, the storage costs in January were about $180. If we add the seller account monthly subscription fee, it means I’m basically breaking even. I’m not breaking even because my time costs money. By even thinking about the Amazon US side of the business, I’m spending time—and that costs money. To get even more technical about it, it does cost me extra in accounting fees to do my Amazon.com books too, which are rather complex, even if I’m not doing the whole sales tax thing by the book. In short, I did not break even. I actually lost some money in January, and that’s why I have decided to cut my losses and simply stop selling on Amazon.com. Well, at least stop selling this particular product as my results have shown me that there’s no point. I won’t repeat all the reasons as I explained them in my December update post, but at this time, it’s not even about the money anymore. It is about my TIME and PRIORITIES! With so many things happening on the UK & EU side of the business, I just can’t concentrate on something else right now, especially something that doesn’t show much hope for progress. It’s also about the BRAND and the overall business strategy. Basically, I realised that I wouldn’t have the time, money or power to get properly established on the US market—both online and offline—and that it doesn’t even go that well with our BRAND values, vision and strategy. I will stick with the UK and the EU market, both online and offline, and will try to make most out of it! No, I am not. But thanks for asking. I am making the best business decision an entrepreneur can make. I’m making an informed decision based on real data, without emotion, and I’m cutting my losses and moving on. I don’t care about the money I’ve invested in this. I just don’t. Why? I already wrote an entire post about this on Monday, so CLICK HERE to read that post! There’s always more on the plate than you can handle, right? If not, you’re under-planning and not taking full advantage of the time and energy you have! I know that there are TONS of things I want to get done in 2019, in February, this week, and every single day. I always have the process planned out in the form of an actionable plan, step by step. If you don’t have a plan, you’re in constant CHAOS and your productivity suffers greatly. In January, I finalised the design of the template. It’s currently in the coding stage. I hope that the coding process will be done by the end of the month and that in March I can tweak all the settings, add products, connect the inventory and payment systems, etc. so that I’m ready to launch the shop in April. That’s the plan, and I really hope I will be able to get it done! The sooner it goes live, the better. I will probably launch it even if I don’t have it all nailed down to the smallest pieces as it will always be a constant process of improvement. Active work and planning for these shows has already started. This includes all the bookings (hotels, etc. ), working on show promo materials (new product catalogue, business cards, merchandise, etc.) and all the other bits and pieces. As for the actual booth setup and design, I have decided to outsource the work on this. Right now, I’m already working on it with a company called Inspired Displays. Nothing has been finalised yet, but so far, I have been very happy with the response and attention to detail from this company. Hopefully, we’ll be working together for many years to come! I will most likely do a separate post on trade show booths later on in the year as I start to attend shows and gain more experience on the practicality of it all. 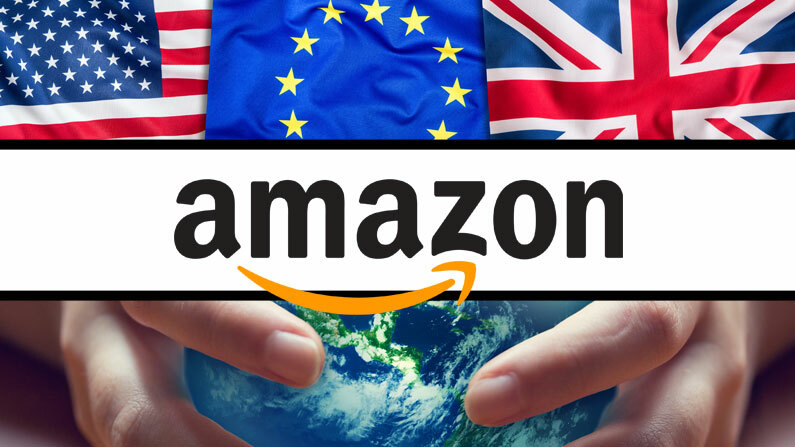 As I want to try out Amazon EU marketplaces later on this year, I am in the process of registering for VAT numbers in Germany, France, Italy, Spain, and other FBA countries with the help of VAT Global. Again, it’s all in progress. There are lots of documents to provide there, but I have been very happy with the progress so far. VAT Global handles all my questions in a timely manner, and they have built a very nice online portal where you can submit all the documents, use the chat box to ask questions, etc. Just like with trade shows, I will do a separate post on this once I have completed the process and have all my VAT numbers on hand. Constant work is put in to create even more product variations to add to my product line. This work never ends and is a daily routine between my designer and me. Obviously, trade shows are where the magic (hopefully) will happen, but even before the first show in June, I want to start contacting some shops. I’ll start once my Shopify store is done, and maybe I can get some early customers that way. I will create a special landing page on my online store for wholesale clients and create a special offer for new customers, which will include a heavily discounted starter package of products as well as a free display to showcase them. Again, this is all in the works, and once it goes live, I will write about my success or failure on the blog. These are the five main tasks I’m working on right now. At the same time, there are HUNDREDS of smaller tasks being taken care of every month! I won’t list them as I don’t want to bore you to death! One major HOT ISSUE right now is the German Tax Certificate situation. I am fully onto it and will write a post about it as soon as I have gone through the process and know exactly how to handle it. Then, of course, the whole Brexit thing… oh, boy! I haven’t talked much about this yet as I don’t want to waste my time and energy on gossip. I’m waiting for solid, final decisions and then will react to it. That’s it. At the same time, I have also started creating some new videos to add to the Amazon Sharks members area. I have already created some content BUT I’m waiting on Sellics to release their latest version, as well as Amazon to release a few new PPC features that they have already beta-tested in the US. I want to cover these in my new videos, so we will have to wait a bit for this to happen. Apart from the US failure, that is, but to be 100% honest, I’m actually relieved that it has ended. It took too much time and energy and created stress for me! I’m happy I’m over it and VERY excited about how things will progress in the UK & EU! Make sure to stay connected with me so you don’t miss out on any new content! 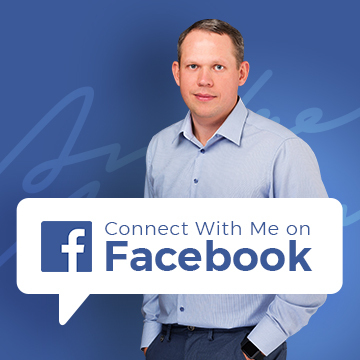 Subscribe to my newsletter, join the Amazon Sharks Facebook group and follow my Facebook page for the latest tips and tricks, as well as insights into my personal journey of building a successful eCommerce company! If you have questions about anything I have covered today, please leave them below in the comments box. I will personally reply to them within 24 hours, Monday to Friday. Hi Andrew, could you tell me what made you choose VAT Global over Amazon’s VAT service for the European markets? I’m looking at expanding into Europe so just weighing things up and the Amazon option just seems easier. That is essentially the same thing – Amazon does not offer any VAT services directly – it’s all done via 3rd party partners. But while the company Amazon uses for this (Avalara) has very bad reputation/reviews, VAT Global seems very good from reviews I have read. So I simply picked a better partner to work with and so far have been very happy with their work. At the moment I have sent almost all of the documents to them and the registration process has started. If I plan on selling a product on Amazon for £20 and it costs me £4. Do you think these margins are too low once we factor in things such as FBA fees, PPC and all the other things? No, that’s a good/standard/normal cost to price ratio. It’s def. enough if your product converts well and it is not something very big with super high FBA fees. Bravo Andrew, really admire your stance and principles surrounding your brand and the long term strategy. I will look to mirror it with my own product line. Regards your online store, is there any particular reason you have opted for Shopify over say, Wix? I would be interested to hear on your strategies to generate traffic directly to your own website and whether you forsee your sales there exceeding amazon at any stage? Wishing you a prosperous 2019 Andrew. Just a question on product variations – when launching, do you have to target EVERY variation? e.g. blue, red and green…. or do you get results off the back of launching aggressively for just ONE variation? if the other variations are slow selling, would it impact your overall BSR and search rank? On the same note, if you were to add a seasonal variation at say Christmas, would adding this variation to the catalogue not harm your rankings as a new listing? You can do it both ways – launch all variations at the same level/speed OR pick ones that you think will be bestsellers and start with them. In essence, on Amazon, each variation is a separate listing/SKU, with its own history, sales velocity, rankings etc. They’re just linked via parent/child relationship so you don’t have to worry much about each variation affecting others in any bad way. And no, adding a Christmas variation won’t harm you in any way. Again, it will essentially be a standalone listing that is simply linked together with others via the parent/child relationship. Good job, BUT your email was titled “Why I don’t sell on Amazon any more”. What did you mean ? Not any more not any less ? I didn’t see a bombshell. In the newsletter email, I said that I won’t be selling on Amazon.com – and that’s true. This I explain in the post, why I won’t be selling on Amazon.com anymore (the US site). I will, of course, continue selling on Amazon.co.uk (the UK site). Well, if you have followed my previous monthly posts, you will know what I mean by “failure” here. In the very beginning, I saw that competition for my product on Amazon US is extremely high – I shouldn’t have started it at all. But I did, as I thought I can make it work anyways. I couldn’t because click prices and competition were way too high. I see that you are experienced . Could you please help how to get ungated for the medical supplies category on amazon EU? Unfortunately, I don’t have personal experience with gated categories. I know that there are companies/services online that can help you with this. Do a Google search for “Amazon gated categories service” and you will find multiple companies that will be able to assist you. The problem is the competition and clicks prices, which are super high on Amazon.com compared to the UK site. UK and EU sites are much easier to work in, with less competition and cheaper clicks.